Sales has gotten a bad rap for its “bro” culture, and not long ago, HubSpot faced that challenge on our own sales team. We took a hard look at the diversity of our company and realized it took us too long to make inclusion a priority. And as our company and our sales team have worked hard to move away from monoculture, we’ve had to reflect on what we actually mean when we say ‘diversity and inclusion in sales’. Here’s what an inclusive sales team (or any team) looks like to me: It’s a place where the culture feels as though no matter where you come from, whatever your background may be, or the belief system you have, you can bring your whole self to work without fear of judgement. It’s a place where people feel respected. It’s a place where no one feels held back from being successful because of how they identify. So why are diversity and inclusion passions of mine? Because those two seemingly simple words are actually quite ambiguous. Everyone has their own definition of diversity and inclusion, and what many don’t realize is just how often people feel like they don’t belong. As a woman, and working mother, in sales, there have certainly been times when I didn’t feel included. And that’s what it’s about: feeling. Diversity and inclusion are about a feeling of belonging that I want everyone on my team and at HubSpot to experience. Part of my role as a leader is to make my team feel welcome and safe. It’s a challenge that I am trying to get better at every day. And it’s hard. I don’t always have the right thing to say, and more importantly, I don’t know what I don’t know. Often times, I learn the most about how to build a more inclusive environment by getting honest feedback from my team and through making mistakes. Is your team inclusive of all their members and co-workers? What does an inclusive interaction even look like? When bumping into someone in the hall who may not look like you or act like you, how do you or your team act toward them? We have small interactions with people everyday, and many times we don’t even know those times when we make someone feel like they don’t belong. There’s no ‘how-to’ guide on diversifying your team, but we can and should learn from one another. These are realizations I’ve had over the years that are helping me navigate the ambiguity today to make my team more inclusive. Don’t assume what inclusivity means. My definition of inclusivity might be different from your definition. It might enhance or add something extra to another person’s definition, too. When I started at HubSpot, one of the first things I did as a leader was ask my team: what does an inclusive sales culture looks like to you? And, I encourage you to do the same. Ask your team what inclusivity means to them. Inclusivity starts with a conversation -- it’s not prescribing what inclusivity should mean, but getting a pulse of the culture of your team and what’s important to them. Create a dialogue and keep it going. It can be overwhelming figuring out just where to start when it comes to creating an inclusive team. (That’s why we have a post with 53 little things anyone can do to impact diversity and inclusion on our blog.) 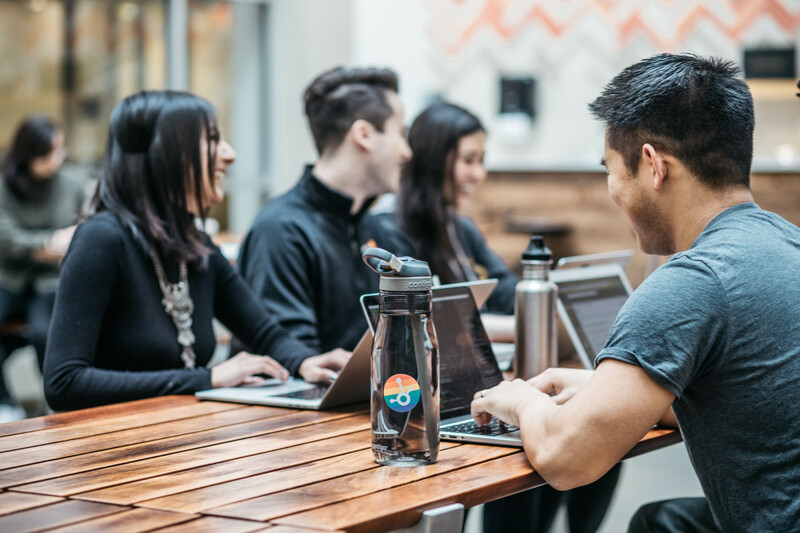 Asking what inclusivity means to your team starts the dialogue -- and as a leader, it’s up to you to keep that dialogue going (we started by asking our sales team what inclusivity means to them). Document the type of behaviors that you all agree are inclusive and share it with your team and leadership team. Come up with goals or action items that you can all do to practice those behaviors. Share updates and ideas regularly so your team knows inclusivity is an ongoing discussion. Creating a welcoming environment is a constant work-in-progress and as leaders, we need to be comfortable talking about that regularly. Are you inclusive in your hiring process? Your network is a good place to start looking for candidates for sales roles, but often times, our networks are made up of others who are similar to us -- people who went to the same school as us, have similar backgrounds as us, and have the same skill sets we do. Search beyond your network. Can you extend your campus recruiting reach to non-traditional schools? Are there programs out there to bring diverse talent into your office through workshops, trainings, or exchange programs? In whatever role you’re hiring for, make it a priority to engage with candidates who aren’t already within a few degrees of separation. Create a safe place for communication. Once you’ve made inclusion a priority on your team, it’s important to create a space where people can contribute their thoughts and feelings around how the team is performing on the topic. Don’t be afraid to ask the team how it’s going in meetings. But, be aware that inclusivity also means acknowledging those who may not feel comfortable speaking up in team meetings, and giving them a place to do so. One solution might be to create a safe forum similar to an Employee Net Promoter Score (eNPS) where people can contribute directly to the leadership team in a safe setting and voice their thoughts and opinions anonymously. Lead with change and humility. There’s no one size fits all when it comes to diversity and inclusion. There’s no “right” answer, and it’s a muscle that will always have to be flexed, strengthened, and adapted as the company’s culture and your team’s culture continues to change. As a leader, we have to be comfortable with change and humility. There are times when we’re going to make mistakes -- we’re human. But when those mistakes are made, we have to own up to them. We have to learn how to adapt our leadership styles so as not to unintentionally alienate anyone. We have to change our behaviors so that they’re inclusive, humble, and empathetic. In order for D&I to become a reality, we have to adapt how we lead. So, what does an inclusive sales floor look like to you? The truth is, there’s really no “best practice” answer. Every sales culture will have a different definition of inclusion that will be dependent on the people on your team who will constantly iterate and adapt that definition. You can’t assume what inclusivity means - it truly is a living, breathing dialogue that is constantly growing with your culture. So, learn from your team. Learn from your peers. And, learn from other leaders about what inclusivity means to them. What have you learned about creating an inclusive culture in sales?? Leave a comment below so we can continue to learn from each other. Interested in learning more about #SalesAtHubSpot? Read some of the stories and lessons HubSpotters share on LinkedIn about their experiences working in sales.